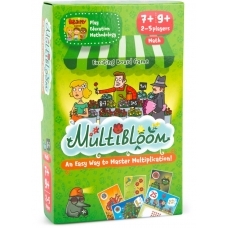 Playing this game, the children will find themselves very busy with all kinds of fun activities: planting flowers on flowerbeds, uprooting them if necessary, and also arranging surprises (both pleasant and not) for their opponents. But the players’ principal objective is to properly fulfil the orders by growing the exact number of flowers requested by their customers. 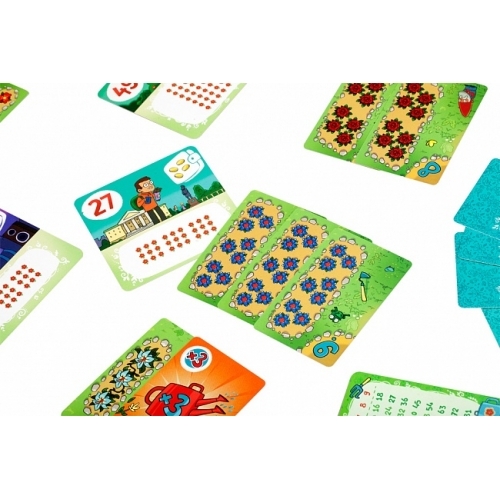 In the course of the game, children learn in practice that to fulfil an order of 18 flowers, they should have grow 3 flowerbeds with 6 flowers each. Such visual examples will stick in their mind for a long time. The goal of the game is to earn as many coins as you can. The number of coins is indicated on the customer card – some give you more, some give you less. That’s just life. Three square customer cards with the number of flowers they need are placed on the table. During the game, the players ‘plant’ three flowerbeds made out of cards with the same number of flowers. The players are trying to grow a required number of flowers to sell: three flowerbeds with seven flowers each to get 21, six flowerbeds with nine flowers each to get 54, etc. 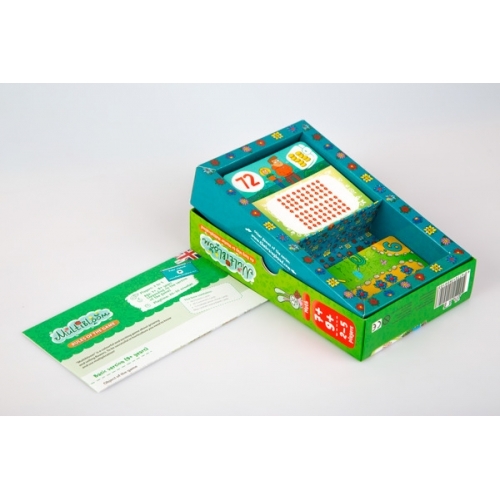 The game allows the players to be naughty by planting “moles” and “bugs” to the other players’ flowerbeds — but they can also be nice and send gifts. 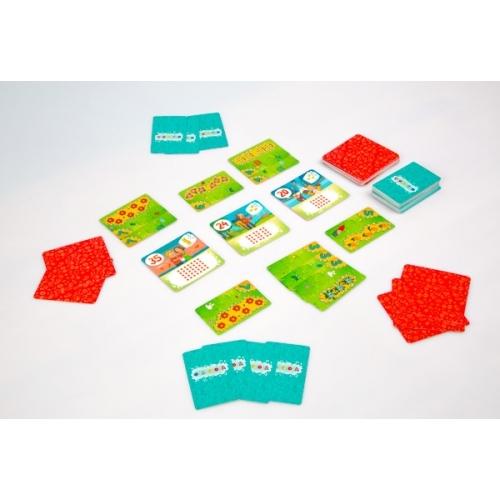 The deck also includes cards with magic watering cans, which multiply the number of flowers on a flowerbed by 2 or 3. Sometimes that can really help! 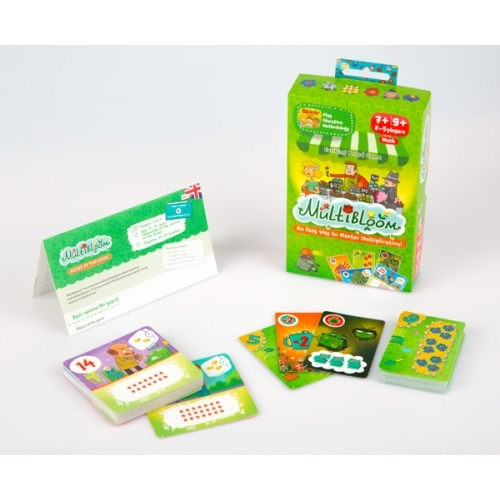 We are proud of the illustrations used in Multibloom. Each customer is a well-developed character with his or her own history. We are positive you will enjoy the characters and their stories. 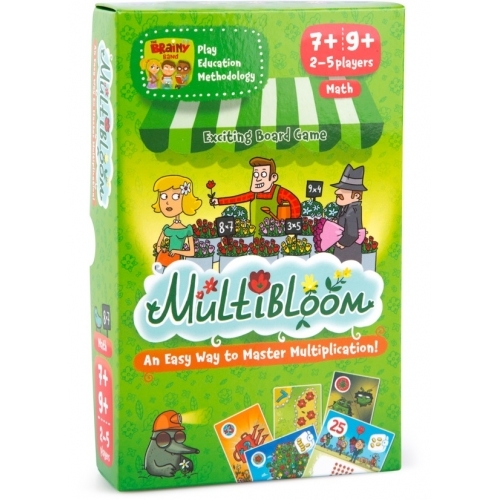 Multibloom is aimed at children aged 7 and older.